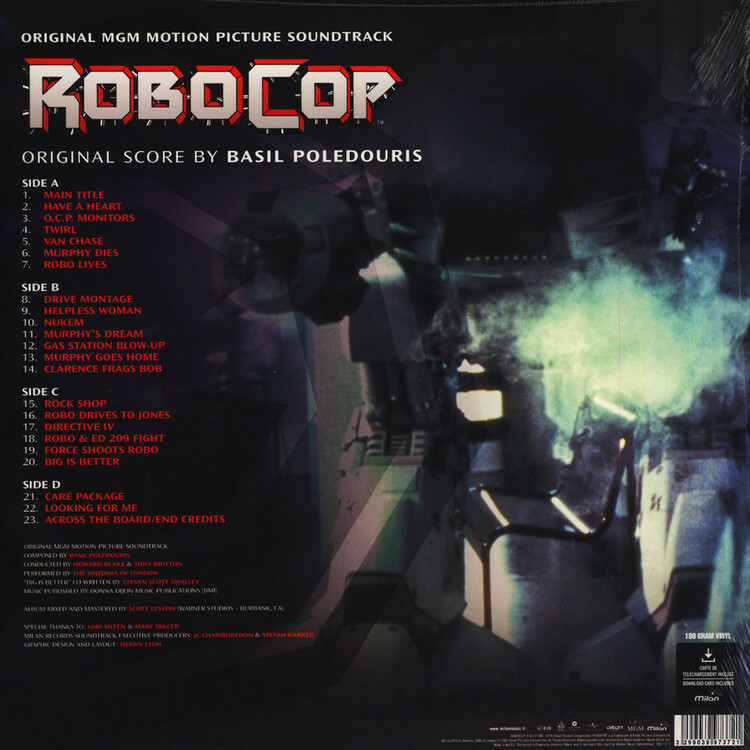 The soundtrack score for the movie was composed by Basil Poledouris, who used both synthesized and orchestral music as a mirror to the man-versus-machine theme of the movie. 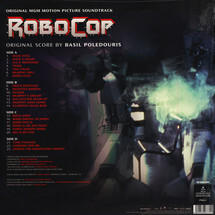 The score alternates brass-heavy material, including the RoboCop theme and ED-209's theme, with more introverted pieces for strings, such as during RoboCop's homecoming scene. The music was performed by the Sinfonia of London, conducted by Howard Blake and Tony Britten.